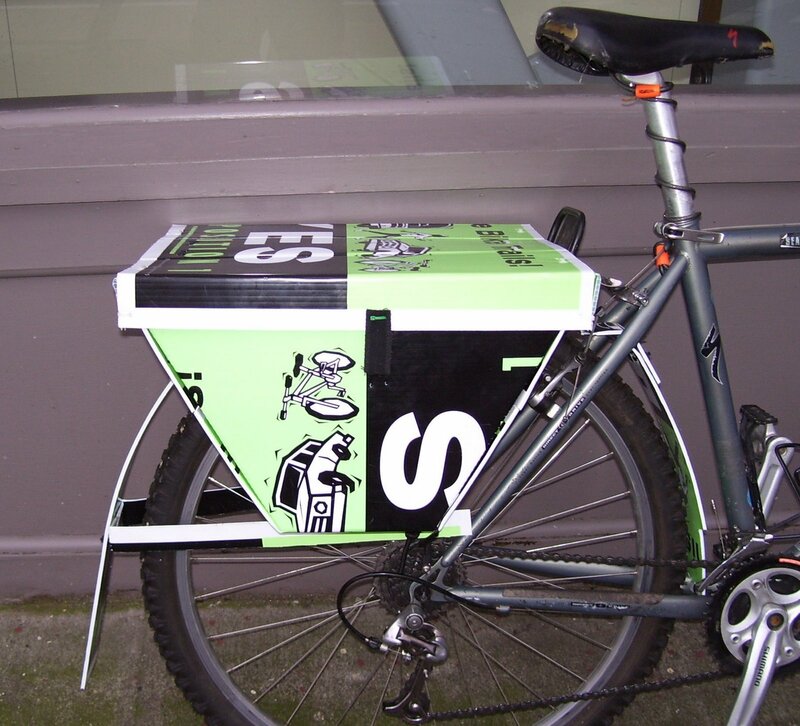 From Kent’s Bike Blog in 07, how to turn a yard sign into panniers and a fender. The more ironic the better too, like pick one that’s from the pro asphalt lobby. I’ve seen these ridden and they work.